Dancing has been a celebrated past time for many centuries. From the beginning of time it has been both a ritualistic experience as well as a way of courting, celebrations and just plain fun festivities. 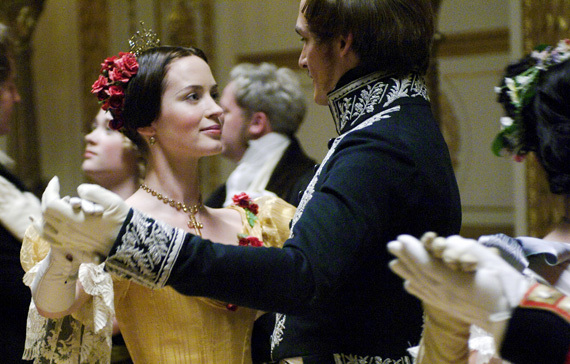 In the history of dancing, the Victorian era is said to be a time when dancing was revered as the key to socializing. Women wore flowing gowns that allowed them to look picturesque as men accompanied in strict black suits. During this era, men and women of higher class began to pay closer attention to their footwear. Men began to wear leather ankle-type boots as women experimented with colors and a slightly higher heel. Although the shoes were incredibly beautiful, they were anything but comfortable. Many shoe makers had only a few forms to work with, this made sizing very difficult to do. This in theory, led to many painful mornings, as most only owned 1 to 2 pairs of shoes. As conventional medication, such as Advil or Tylenol had not been invented, many used natural oils and balms to treat muscle pains and aches. In modern times, we like to save dancing for special occasions. Birthdays, holidays and of course Valentines Day are usually celebrations when women love to put on our high-heels and go out for a night on the town. However, this usually means that by the end of the night we will have incredibly sore feet, calves and lower back muscle spasms. Sometimes, dancing can even lead to cramping or Charlie horses, which can be extremely painful. Instead of turning to over the counter medicine that may have adverse side affects, consider going back in time and using a topical muscle pain reliever that is sure to cure! Based on the history of natural remedies and developed by Keith Delprete of Cramp911 this a roll on natural muscle pain reliever works fast on sore muscles, cramps and nerve pain. Cramp911 is super easy to apply and fits right in your small dancing floor purse. Now you wont have to second-guess that great pair of heels that you have been saving. Cramp911 is a great alternative and works quickly, and naturally so you don’t have to wait for pain relief and continue dancing the night away pain free this Valentine.